Most businesses that are just testing the waters with social media marketing turn to Facebook as their first starting point and then expand from there. This platform has been a great venue for creating an organic reach with potential customers but a new update it’s going to make things much more difficult. While we’ve only seen these changes in 6 countries up until now, it’s reasonable to believe that they’ll expand them to a global level. There are big changes happening with the News Feed involved in the testing phase in these countries. Paid advertising pages have priority over the pages that haven’t paid, which significantly affects small businesses that are operating with a limited budget for marketing. Facebook has always given smaller businesses the opportunity to compete against the larger corporations so this is definitely an unwelcome addition for any startup or small business owner. 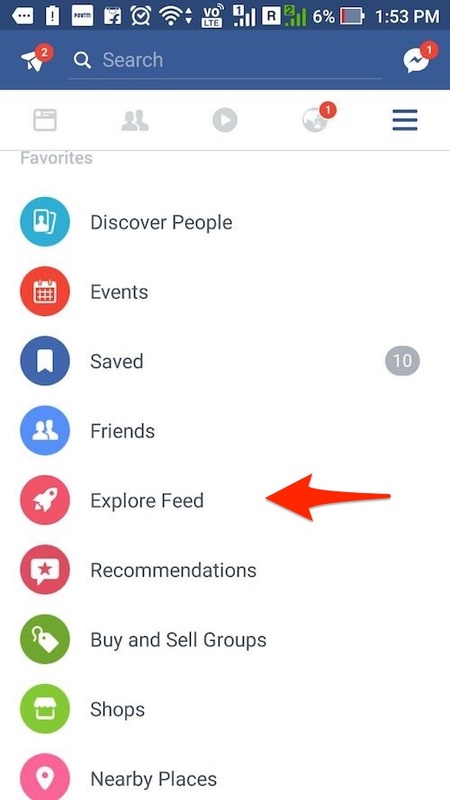 If you’re running a Facebook app you’ll see 2 options available for the feeds including the News Feed and an Explore Feed. A lot of the information that was previously appearing on the News Feed will be shifting to the Explore Feed, including pages that friends were sharing. You’ll see sponsored posts on the News Feed, making it harder for posts to be added organically. The button for the Explore Feed has been conveniently placed in the left-hand side bar, which means that most Facebook users won’t ever notice that it’s even there. If you have been using Facebook as a channel to drive traffic to your website, you may expect to see a direct hit from these changes. Unless you have an unlimited advertising budget, you may want to consider reviewing the other social media channels to find out what they have to offer. The new changes will affect your ability to have your content noticed by traditional organic sharing, even if you have been using the Instant Articles Facebook feature. Facebook advertising can still give small businesses the opportunity to compete against their competitors but a new approach will be needed in order to see the best ROI. You must have your ads monitored and analyzed to review their performances and your ads will need to be compared with the ads placed by your competitors. If you have been advertising on Facebook or want to get started but haven’t yet developed a strategy, we can help with these new changes. While they haven’t been implemented on a worldwide basis, we won’t be surprised if we see them appear close to home sooner than later. Advertising can still be done on Facebook but in order to spend your money wisely, you’ll need to know exactly how to do it. Call us now at (416) 226-0563 to ask any questions you may have about Facebook advertising or visit our site at qodesocial.com. We look forward to helping your business rise above your competitors by using innovative social media marketing techniques that have proven to be effective time and time again.